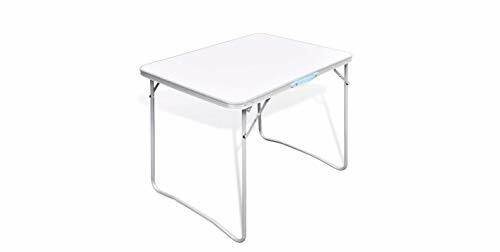 Comfyleads Camping Table Picnic Folding Foldable Outdoor with Metal Frame 31.5"x23.6"
FOLDABLE - This foldable camping table with practical carrying handle will come in handy in kitchens, on patios, in gardens, and on picnics or camping trips. LIGHTWEIGHT - The camping table is light in weight. Thanks to the folding design, this camping table is easy to transport and can be stored away quickly when not in use. The carrying handle makes it very easy to bring the table with you when going out to have a picnic or camping trip. DURABLE - Thanks to the sturdy structure, this camping table has a high load capacity of up to 66.13-110.23 lb. Thanks to the metal frame and the robust MDF tabletop, it is highly stable and durable. If you have any questions about this product by Comfyleads, contact us by completing and submitting the form below. If you are looking for a specif part number, please include it with your message.